Las Vegas is a destination known throughout the world for the best dayclubs, most popular nightclubs, and fabulous five-star hotels. Summer is a ruling season for this fantasy-like getaway, however, Sin City offers so much more than just pool parties during the grueling heat. 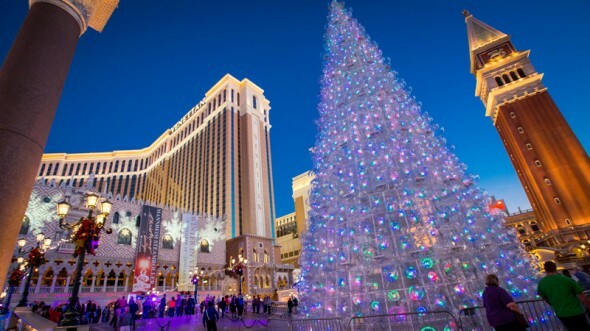 Vegas has countless events not to be missed during the winter season! Big name artists, such as Alesso, Krewella, ZEDD, and Kaskade rule the winter here in Sin City. If ever you are looking forward to getting away for the weekend during winter, here are some of the must-do’s in Vegas daylife and nightlife. The Palms resort has a rooftop night club with breath-taking views of the entire Las Vegas Strip. Starting in December, the Palms opens Ghostbar Dayclub otherwise known as “GBDC.” Why should you only party at night when you can party all day? The moment someone sneaks up behind you and ties a “GBDC” headband around your head for piñata time, you realize your partying experience will never be the same. Ghostbar Dayclub has taken what would otherwise be a mundane Saturday afternoon and turned it into the party of a lifetime. Free Vegas Club Passes will treat you like the VIP that you are! On Chris Hornak’s list, Ladies will be free and will get a free drink! Gentlemen are free before midnight and $15 after. If you’re used to Vegas clubs and looking for a dream-like nightclub experience then Light is the club for you! Not only is it a high end club with world renowned DJ’s such as Alesso, Nicky Romero, Baauer, and Stafford Brothers, but the Cirque du Soleil acrobats bring it to an entirely different level! There are aerial performers throughout the nightclub choreographed to dance, perform, and hang from the ceilings to the exhilarating mix of electronic music. They interact with the crowd which makes this much more than your usual dance club – it’s an experience not to be missed! On our Vegas guest list, we offer free admission for your group and two free drinks for ladies every Wednesday, Saturday, and Sunday! The perfect spot to visit during your stay at Vegas in winter would have to be XS at Encore. This is the nation’s number one nightclub and it’s definitely got the goods to back up its reputation. XS rules Vegas all year long and is a time not to be missed if you’re out partying in Sin City. The atmosphere at XS will leave you in awe! From the confetti showers to the outstanding live performances with artists such as RL Grime, Skrillex, Diplo, and Tommy Trash, this club will be sure to keep you dancing the night away until the morning comes. The best way to party at XS is on Chris Hornak’s VIP guest list because not only will you get special free entry, but the Ladies will be given a free drink upon arrival! Don’t miss out this winter and come out to party for free on our VIP guest list! There is nothing better than getting into Las Vegas’ hottest nightclubs for free! So sign up now and start planning your winter weekend get-away!